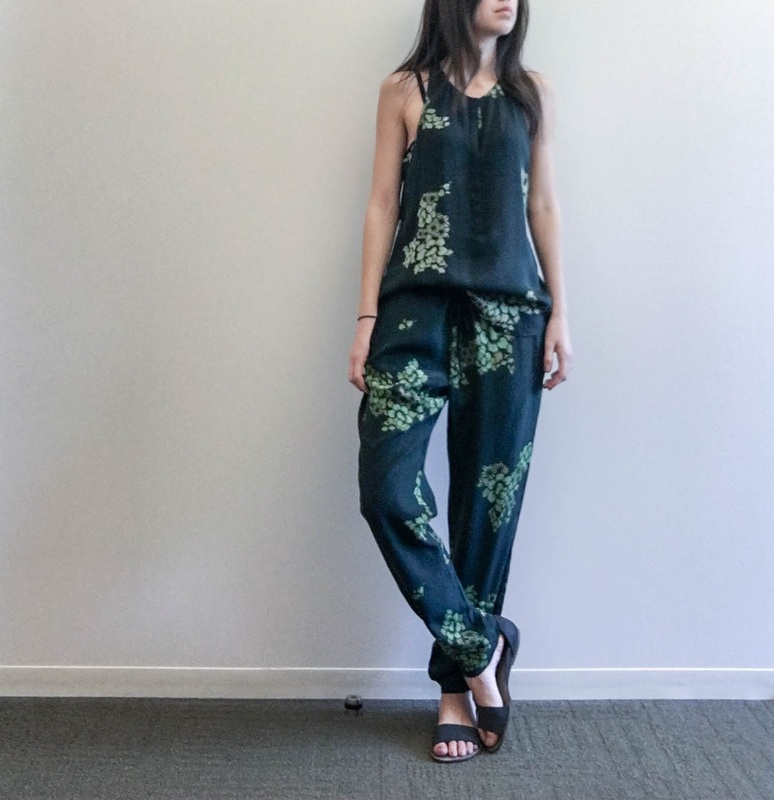 I absolutely love this jumpsuit, except it is not a jumpsuit, it is pants and a top. 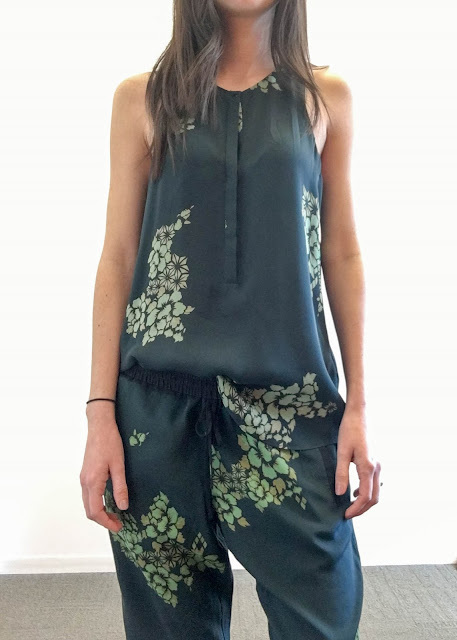 This might make me love it more, because it is still cool, slouchy and comfortable, but you don't have to unzip yourself with yogic elbows or sit in a public restroom with no top on, on the days you wear it. It also has freaking pockets! 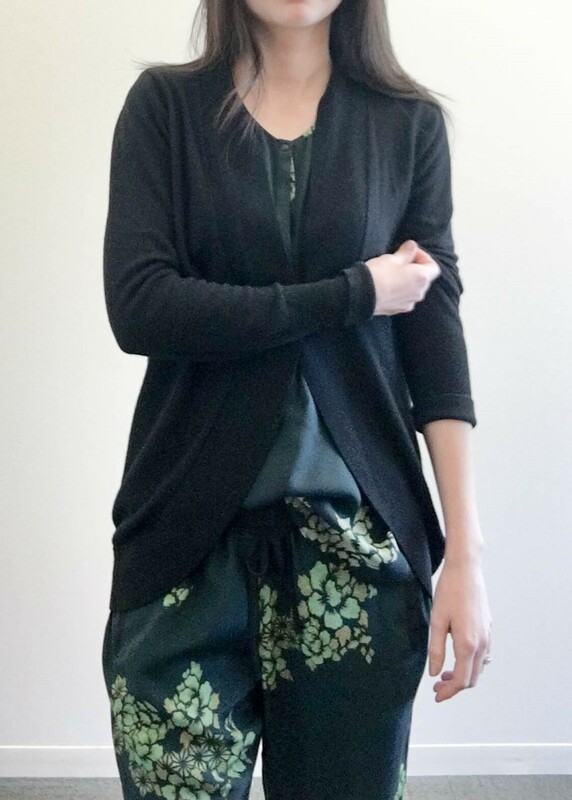 Regardless of the practicality, since I was already wearing open-toed shoes, and, you know, a silken printed jumpsuit on a Friday, I decided to tone it down a little bit with a cardigan, while I was at work. After work I went out for drinks and boom, the shoulders came out. I got both of these pieces on the Real Real, about 3 months apart. Both are still available (in varying sizes) on the Real Real's site, although I bought mine for about half the price, so it might be worth waiting for their next big sale. I thought I found the pants first, but a look at my old clothing spreadsheet (yea, I keep a clothing spreadsheet) reveals I actually bought the top first. It makes sense - I probably would have been unwilling to go for the crazy pants, right out of the gate. As I generally strongly prefer solids, it is sort of a bold print for me, but I love the color and the geometric floral vibe. The top and bottom are both 100% silk, and are very soft and breathable. I'll be doing some traveling to hotter climates in the coming weeks, and this will probably be coming with me. Do you have something you wear that just makes you feel ultimately cool? How often do you wear it? this combination looks great on you. 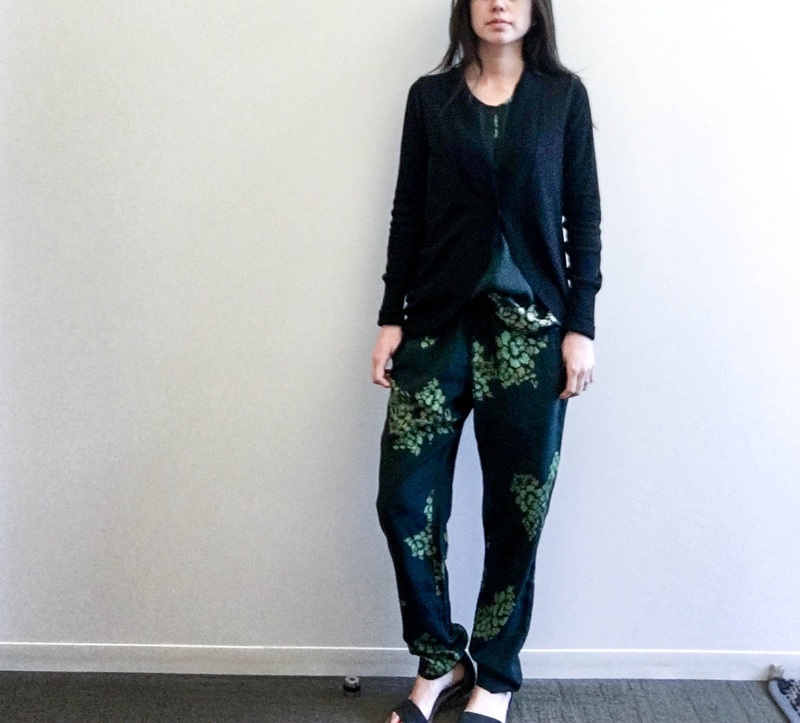 I have these RO bias cut pants that make me feel like I'm floating on air. Thank you! I have been admiring your RO combos and it has made me long to find the right RO piece for myself.